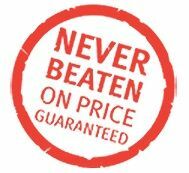 Delivering low costs telephone calls without the catches, and the underhand tactics. At Simple Telecoms we are committed to supplying all our customers with not only good value telephone solutions, but ensuring that our pricing and services are as clear and transparent as possible. Check out the tricks of the trade here. We prefer to offer a simplistic view of telecoms with to the point telephone call charges full itemised online billing NO Contracts and NO moving from your current provider. The majority of our customers do make significant savings compared to their existing Expat telephone suppliers, and if you are not completely satisfied just stop using us. Tariffs are in effect from 1st June 2014. All call charges shown here are Euro Cents per minute and include IVA @21%. *Calls to other network mobile phones may be charged at a higher rate than the main in country mobile networks. *UK Mobile Networks - T-Mobile, O2, Vodafone, HG3, Orange.